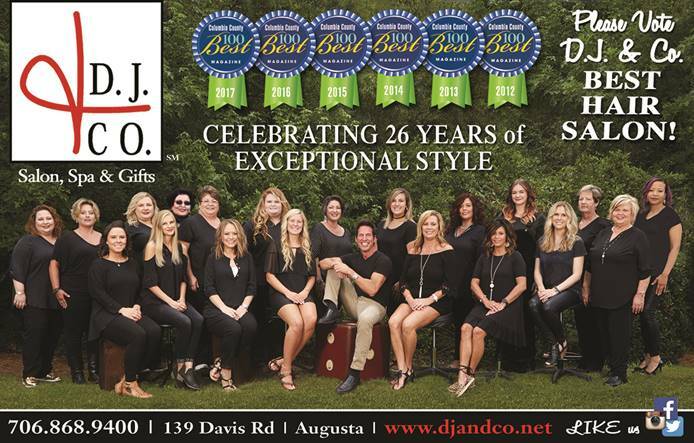 Danielle Quinn is one of our Top Producing Stylists at DJ & Co. and started with our company in July of 2003. She graduated with Honors at Augusta Technical College in June 2004. 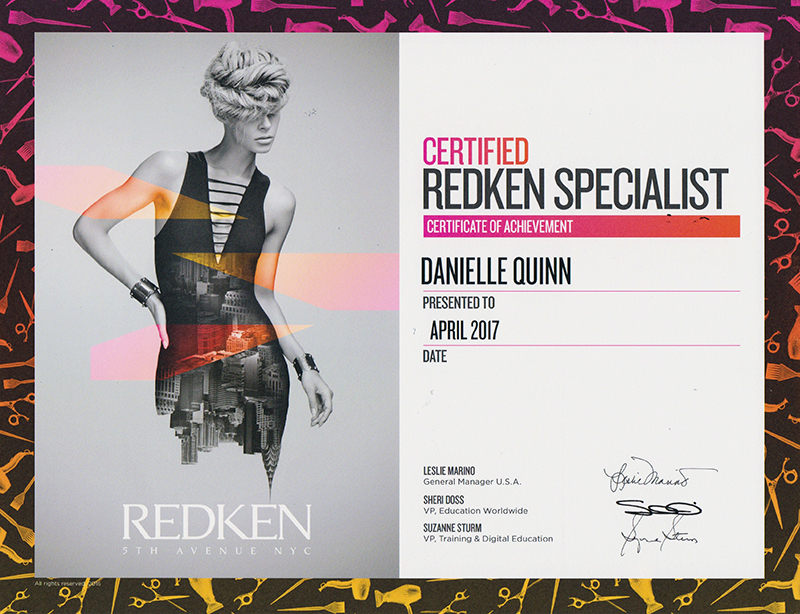 Danielle has attended our hands-on classes at Redken 5th Avenue NYC several times and is always one of the first to sign on for continuing in house education. We were not hiring when Danielle came into drop off her resume, but after her fifth try, I felt I should employ someone that had that much drive and fortitude and we are so glad that we "created" a position for her and she has blossomed every since that day. 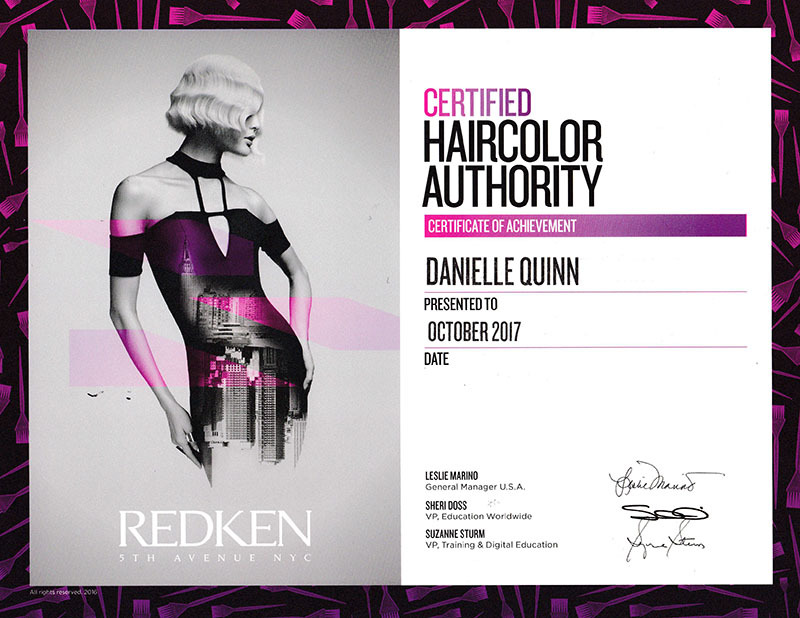 Our clients love Danielle and she is quintessentially professional. She is an asset to our Team.